Footage shows apparent coded message from Tomer Hazan's murderer to his brother, hinting of plans to kidnap Israeli soldier. Shocking footage has emerged which appears to show how the terrorist who abducted and murdered IDF First Sergeant Tomer Hazan Hy''d passed a message via official Palestinian Authority (PA) TV to his jailed brother, hinting at his plans. The message, read during the broadcast May 16, four months prior to the murder, has been translated by Palestinian Media Watch and reads: "the calf will soon be in the cage, and we'll celebrate the freedom of all prisoners." The cryptic note appears to reveal Nadal Amar's intentions to kidnap a soldier and free his brother Nour Al-Din, who is serving a 29 year sentence for terrorist activities. Amar worked with Hazan at a restaurant in Bat Yam near Tel Aviv. He tricked Hazan into accompanying him to his house in Samaria, and there strangled him to death in an open field. 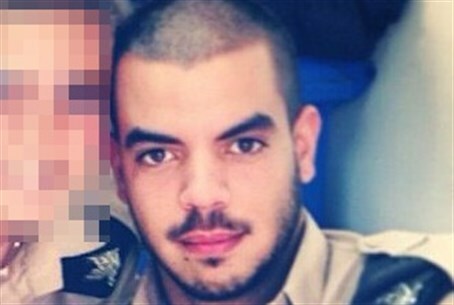 According to reports by Walla, Hazan was duped into aiding Amar on a supposed drug-smuggling scheme. Aside from freeing his brother, Amar's motives appear to have been financial as well. An unnamed terrorist organization reportedly offered him 5 million shekels ($1.4 million) to carry out the terrorist attack. The revelation contradicts statements by Amar from late October claiming that he was "unaware of his actions" when he murdered Hazan. It also once again raises questions about how Palestinian Authority media is being used to encourage and incite terrorism and anti-Semitism - a charge commonly made by Israeli and Jewish leaders.